Welcome to the page dedicated to one of my most translated and discussed poems. I look forward to your comments--Tweet me @MichaelCadnum. The Morning of the Massacre was the title poem of my first published collection of poetry. I noticed there were no birds. running too fast to cry. at that hair in the sunlight. Click the link below to hear The Morning of the Massacre read by Sherina Cadnum. 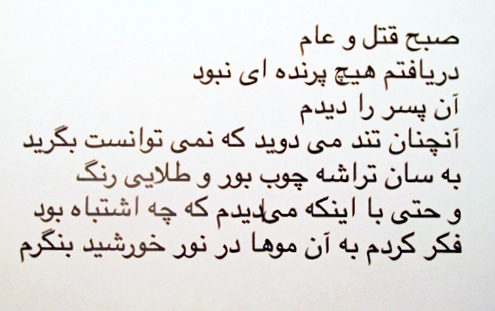 A translation of my poem into Farsi by my friend Hajar Ranjbar of Rasht, Iran. te hard om te huilen. zie dat haar in het zonlicht. 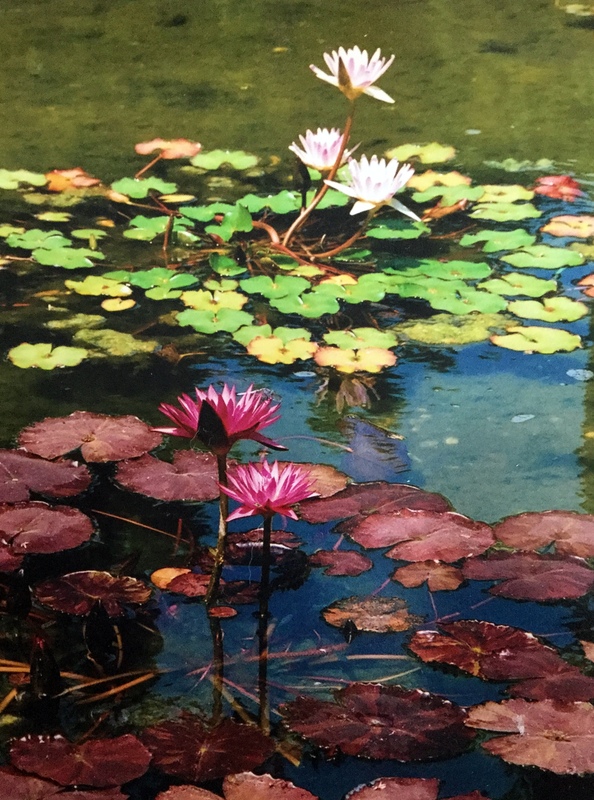 the lily pond photo is by Alma Barnett.